Veneers as well as crown, both have been used as popular intermediate to long-term restorations respectively for several decades. They are used to enhance your smile. Once you achieved your beautiful smile, no one cares that which one you have had, important is just that you look great and feel confident. Dental porcelains are used to create replicas of natural looking teeth for both veneers and crown fabrication. Although they share similar visual characteristics with natural teeth, but it highly depends on patient’s situation that which technique is more suitable. It’s important for patient to know, what modern dentistry has to offer. The materials and techniques available today for either type of restoration are the best in the history of dentistry. With proper placement, either restorative procedure will provide many years of service for patients. The primary difference between a porcelain veneer and a crown is the amount of natural tooth structure that needs to be replaced. Generally speaking, greater thickness of porcelain is needed for a crown. In order to place the porcelain crown, at least 2 millimeters (mm) of tooth structure thickness is needed. For these two different restorative applications, the porcelain itself, a glass-like ceramic material has necessitated modification to strengthen it, particularly if used for back teeth, which are subject to higher biting forces. In comparison to crowns, porcelain veneers just cover over the front side of a tooth. 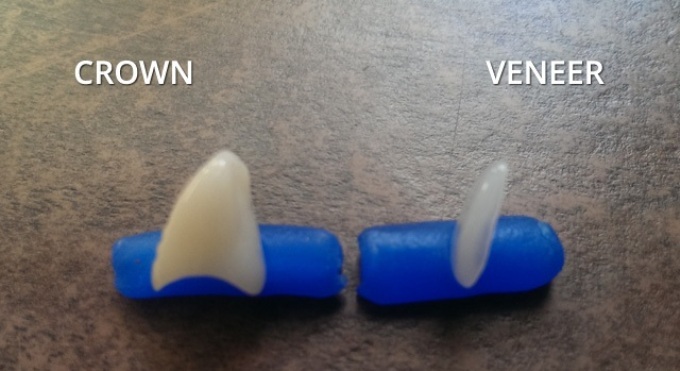 Crowns and veneers have their own individual set of characteristics that generally make one or the other more suitable for certain applications. Below you can find the difference between two in terms of cost and durability. There is difference between two, in terms of durability as well as some related factors. Porcelain veneers are wafer thin, typically measuring 1 millimeter in thickness or less. Less tooth grinding is required. So significantly less tooth trimming is required when veneers are placed. A veneer just covers over the front side of a tooth. It means that less reduction is needed on the tooth’s front side, where the veneer is bonded. No trimming is needed on the tooth’s backside. As compared to crowns, when veneers are placed, less healthy tooth structure is sacrificed. Additionally, the preparation process is less traumatic for the tooth. Crowns cover the whole tooth, while veneers cover the front and wrap around the sides and biting edge. Since veneers are thinner they are often more delicate than crowns, but also more conservative and a great choice if the teeth are healthy and just need cosmetic improvement. They are strong, no doubt but brittle. Porcelain veneers typically do best in those situations where the forces placed upon them are relatively light or passive. They are placed on teeth whose underlying tooth structure is generally healthy and intact. Currently, lithium disilicate is the most popular material for ceramic veneers. Fabrication of veneers using lithium disilicate is a relatively easy task for laboratory technicians, and the esthetic and strength are excellent. Crowns are very strong and durable. They make a good choice in those situations where a tooth is exposed to heavy chewing or biting forces, or else forces created by tooth clenching and grinding. Dental crowns usually have a thickness of 2 millimeters or more and considered more durable. They can create significant shape changes for a tooth. Unlike veneers, they are used to rebuild and strengthen teeth that are badly broken or decayed. 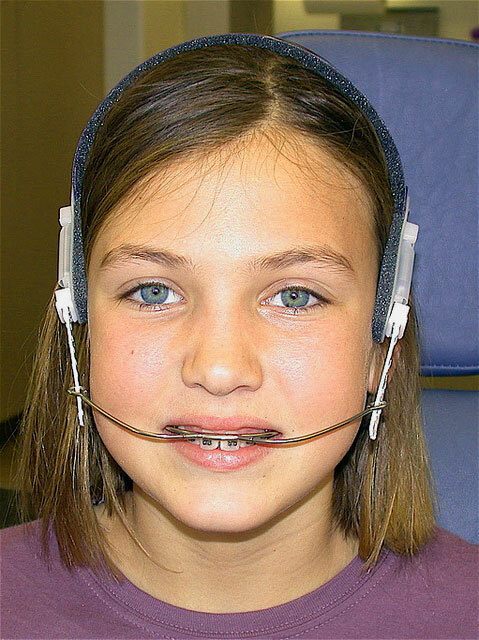 Placing a crown requires a significant amount of tooth reduction. You will never get rid of them, once a crown has been placed on a tooth, it will always require one. Degree of detail and artwork involved is more while placing veneers as compare to placing crowns . As veneers are used for mainly cosmetic purposes and there is more artistry involved in that type of treatment. Some dentists charge more for the six front teeth than the back teeth, since the shape, color and texture is so critical to a beautiful smile.